John Ladd did not mince words as he stood at the fence separating Arizona and Mexico, his face shaded by the brim of his straw cowboy hat. He is tired of being bothered, he said, by the “illegals and Border Patrol” agents traipsing across his property, which has been in his family for 122 years. On Wednesday, the White House announced that President Donald Trump signed a proclamation to deploy National Guard troops from the four states along the southern border. Details were not released on when the guardsmen will be deployed, what duties they will be assigned and how the deployment will be paid for. Ladd acknowledges that illegal border crossings are at an all-time low, as data released late last year by the Department of Homeland Security confirmed, but said one immigrant crossing illegally is too many. 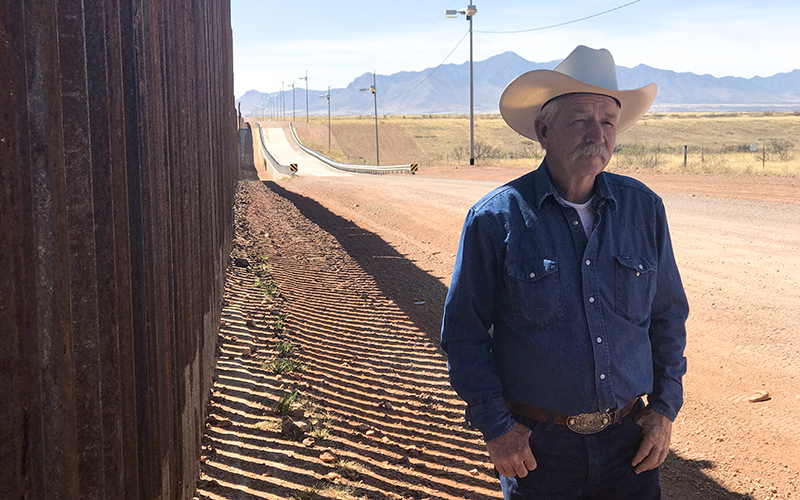 Fred Davis, who ranches 25 miles from the border, smiles at the thought of Trump ordering the National Guard to the border. “Outstanding. Bring ’em on. 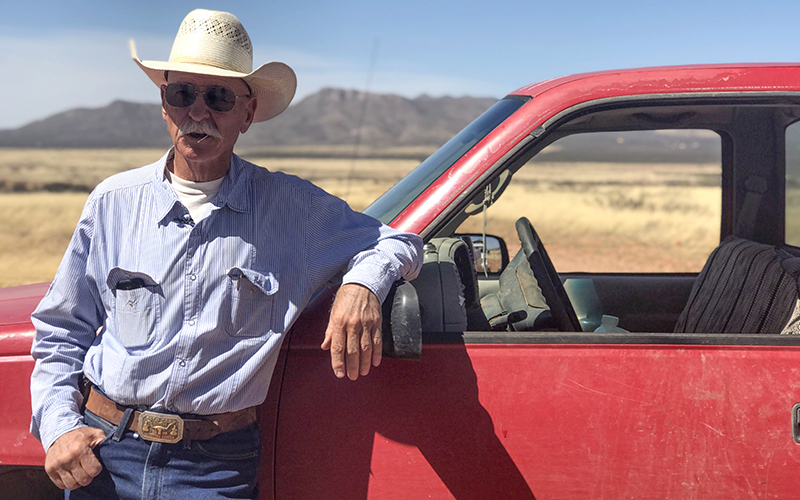 Somebody has to make a show of force to Mexico,” said Davis as he leaned against his red Chevy truck, cowboy hat on and a toothpick in his mouth. It’s not the first time, however, National Guard troops have been ordered to the border. Presidents George W. Bush and Barack Obama did it in 2006 and 2010, respectively. Bush’s Operation Jumpstart put boots on the ground along the border; Obama ordered National Guard air support to the area. 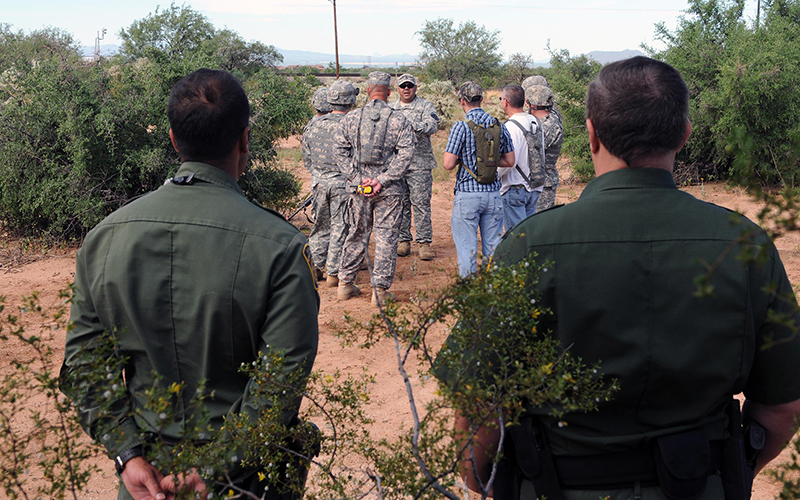 While guardsmen are on the border, they act as additional support to Customs and Border Protection, rather than taking a “law enforcement role,” according to Customs and Border Protection officials in Tucson. Petra Falcon, executive director of Promise Arizona, which advocates for immigrant rights, worries about the idea of having the guardsmen at the border. “Are our National Guardsmen and women trained to address what’s going on at the border?” Falcon said. As for the motives behind Trump’s decision, Falcon thinks it’s less about border security and more about deflection.